Mini dental implants are a fast, safe and convenient alternative to traditional implants. And while most dentists would agree that the traditional dental implant isn’t going anywhere anytime soon, they’ll also agree that mini dental implants are the ideal tooth replacement option in certain cases. But while the mini dental implant procedure offers some benefits, many patients are concerned about the costs. So how much do mini dental implants cost, and why do some patients prefer them? Less expensive implant post: The narrower implant screws used in the mini dental implant procedure are less expensive than traditional implants. Simpler procedure: Unlike with traditional dental implants, dentist don’t need to perform even minor surgery to place mini dental implants. No bone grafting: Because the implant post is much thinner with mini dental implants, it’s easier for patients with a somewhat lower jaw bone density to still undergo the procedure without any bone grafting. So, how does the cost of traditional implants compare? The average price of a mini dental implant can range between $500-$1500. This is considerably lower than the average cost of regular implants, which ranges between $4000-$5000 for the implant only. These prices don’t account for the costs of the procedure to have the dental implant placed. But because the procedure for mini implants is so fast and simple, you can expect some your largest savings to be the cost dental work. Easier procedure: Some patients simply don’t have the time or energy for regular dental implants. This is especially the case with senile patients, who often feel like the traditional dental implant procedure would be too demanding and not worth the effort. Lower cost: The lower cost is an obvious reason for some patients to opt for mini implants instead of traditional ones, especially seeing as many health insurance companies don’t pay out for dental implants and most patients have to pay for the procedure themselves. Avoid bone grafting: If you had a tooth extracted years ago without replacing it immediately, there’s a very good chance you’ll need bone grafting procedure to get a regular dental implant by now. Bone grafting procedures are tedious and expensive, so many patients prefer to avoid them by getting mini dental implants instead. In short, with mini dental implants, you can have your old smile back without having to invest the same amount of time, effort and money as with traditional implants. 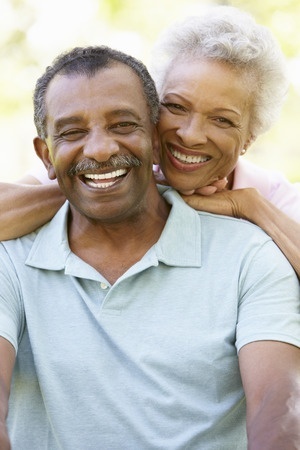 While no dentist can make promises about the longevity of any dental procedure, but traditional dental implants are expected to last a lifetime if the procedure is successful. Even the first dental implants that were placed in 1965 lasted until the patient’s death in 2006. But even though traditional dental implants have been in use for more than five decades, scientifically speaking, the procedure is reasonably new, and dentists still aren’t sure how long a regular implant can last you. But rest assured, a regular implant can easily last a lifetime. But mini dental implants are even newer than traditional ones. Meaning dentists have had less time to analyze their longevity in patients that have undergone the procedure. But so far, mini dental implants seem to compare well with regular ones, and might very well also last a lifetime. While patients often feel uncertain about mini dental implants when it comes to longevity, the fact is that they still offer the same benefits as traditional implants. As with regular dental implants, mini implants prevent bone loss in the jaw. So there’s no doubt that the procedure is better than opting for a tooth replacement alternative where no implant is used. Proper placement and esthetics are vital to the success of Dental Implants. 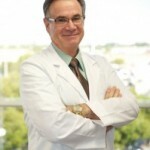 Dr. Stone is a Prosthodontist, which means he has advanced training in tooth restoration. He teaches Dental Implant Techniques to dentists at two colleges in south Florida. We have an Onsite Laboratory, which assures excellent quality and cost effective care. Start with a Free Consultation, and we’ll help you with every step along the way to your perfect smile.